Hey, we're in the middle of writing a photo-story book about the unsung Stray Cat Carers in Malta and Gozo - Islands of Cats. Long time ignored by the public or labelled 'odd hobby of weird people', it was time to pay tribute to these more than 1'000 primarily Maltese and Gozitan individuals. 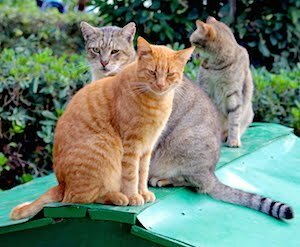 Stray Cat Carers feed cat colonies in steady locations every day, 365 days a year, often twice a day. They also take them to the vet if necessary, and, most importantly, catch them to have them neutered and spayed as young as possible. Paying most costs out of their own pockets. With a land mass of the size of Munich and surrounded entirely by the sea, imagine the feral cat population wouldn't be controlled by these devoted private initiatives. According to PETA (and we made the math), one male and female cat and their offsprings' offsprings, at 2 litters a year surviving 3 kittens each, can multiply after 10 years into an unimaginable 80 million (!) cats. From two cats only! 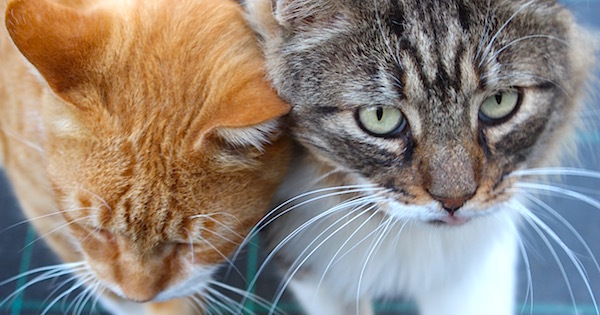 Without the stray cat carers work, the Maltese Islands would be infested by sickly, skinny feral cats, desperately looking for food and shelter. The tireless commitment of these people and NGO's, such as the CSAF Carers of Stray and Abandoned Felines, are a textbook example how the love for animals spreads across an entire nation, taking responsibility for a larger cause. I am a cat feeder, feeding in three places in the South of Malta. I have been feed for over ten years. I also neuter and spay strays and try to home as well but lately i have been harassed by local council and police. This is the protection cat feeders need, protection from these attacks. Thank you for your comment, dear Laura. During our investigations, we have heard this from several other stray cat carers in the Islands. True that "littering" the streets is a legal issue, but the care-taking itself is a matter of lack of public education. We hope that our book will contribute to more public awareness of the importance of your work. If you like, subscribe to our newsletter ("sign up" button at top of page) to stay in touch. Keep up the good work.